CraigCraig — Spring marks the beginning of a different type of hunting in Northwest Colorado. — Spring marks the beginning of a different type of hunting in Northwest Colorado. 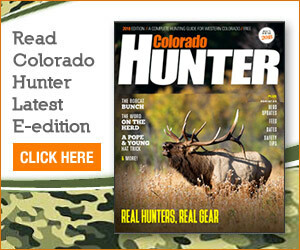 Craig — Spring marks the beginning of a different type of hunting in Northwest Colorado. But the Bureau of Land Management’s Little Snake Field Office in Craig is reminding shed-antler hunters that it’s illegal to travel off existing roads on public lands in Moffat and Routt counties. Off-road driving can cause damage any time of year, but much more so in the spring when soils are moist and soft, the release states. Resulting damage can cause erosion and serious impacts to wildlife habitat. BLM rangers will be patrolling popular shed-antler hunting areas within the Little Snake River Field Office’s management area. A citation for riding or driving off designated roads is $250, the release states. Harassing wildlife could result in a fine of up to $200. “Shed hunters also need to keep in mind that wildlife is especially vulnerable to disturbance during the early spring, when their winter reserves are depleted but spring green-up can still be weeks away,” Reynolds said in the release. Northern Colorado is well-known for its quality big game resources. Shed hunters come from throughout the region, including Utah and Wyoming, to look for shed antlers on BLM lands in northern Colorado every spring.